I’ve got broccoli seeds sprouting indoors under lights and our winter Purple Sprouting broccoli is starting to head up for an early spring taste. 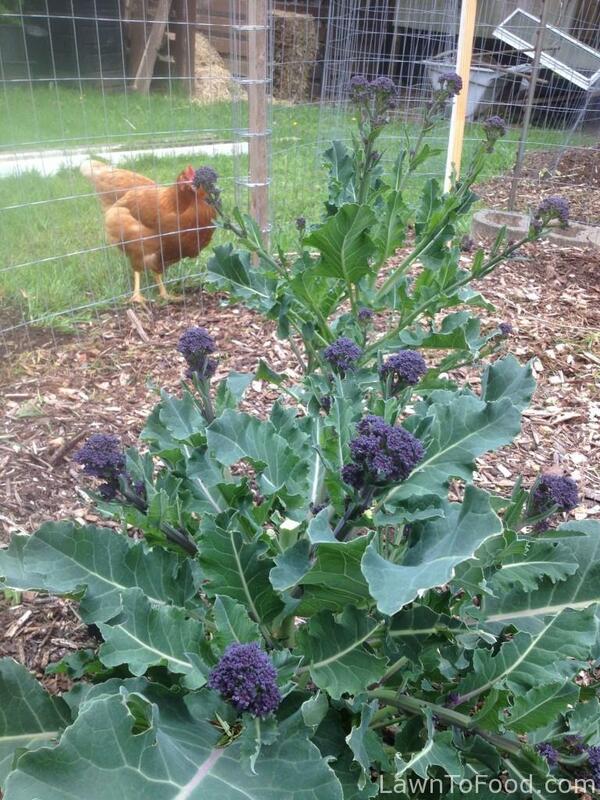 Since neither are ready for us to eat right now, I purchased some gorgeous organic broccoli yesterday. 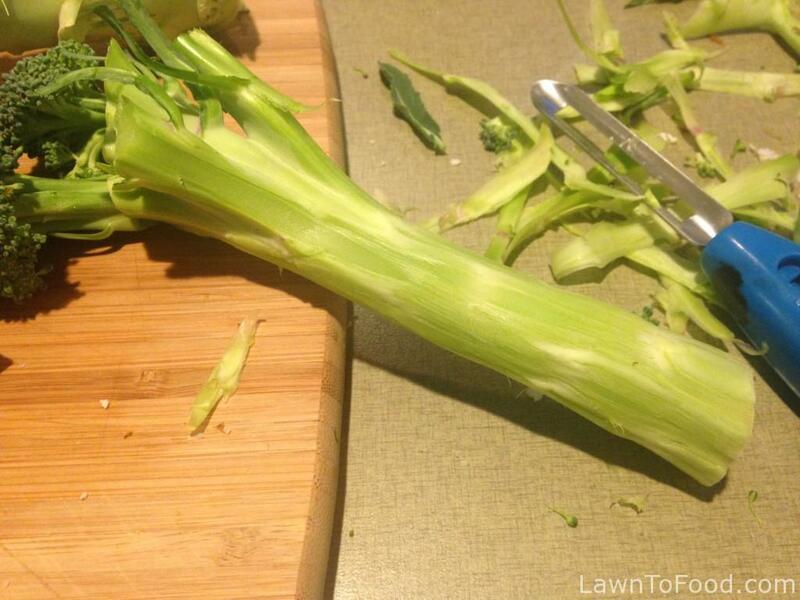 The heads were a deep and flavorful green with quite long stalks. I could almost taste summer while crunching the little “trees”. 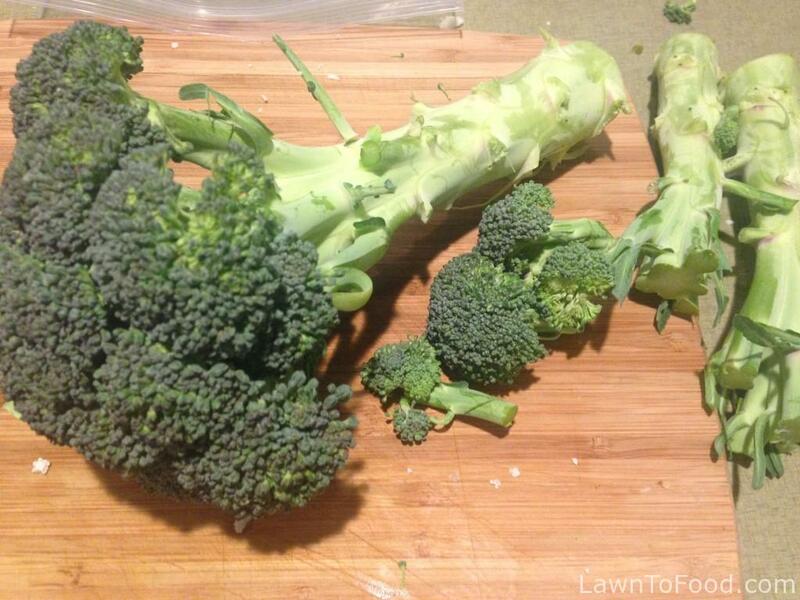 Too often I have seen people cut off the green broccoli florets and then toss the stalk into the compost bucket. Not only is that a waste of valuable food but also the loss of a great tasting raw snack or steamed vegetable. 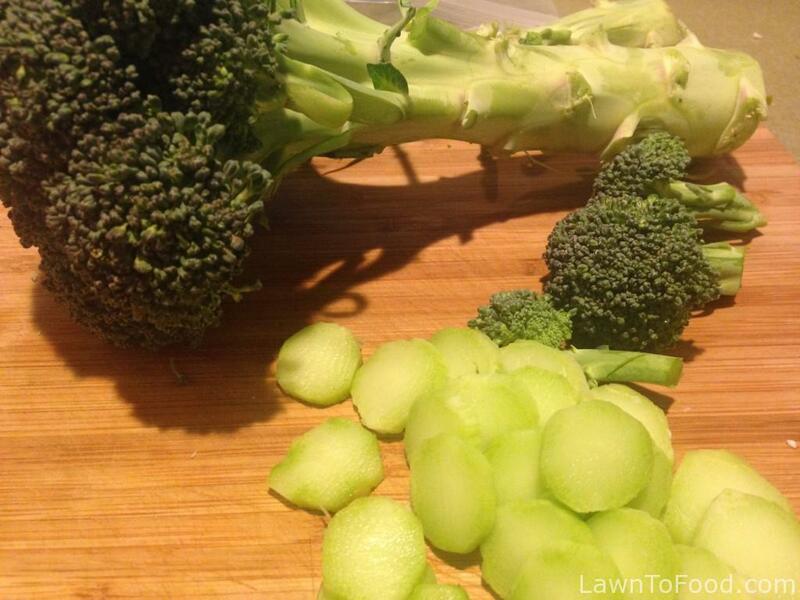 The outer layer of broccoli stalks can be tough and fibrous so simply remove it with a vegetable peeler.